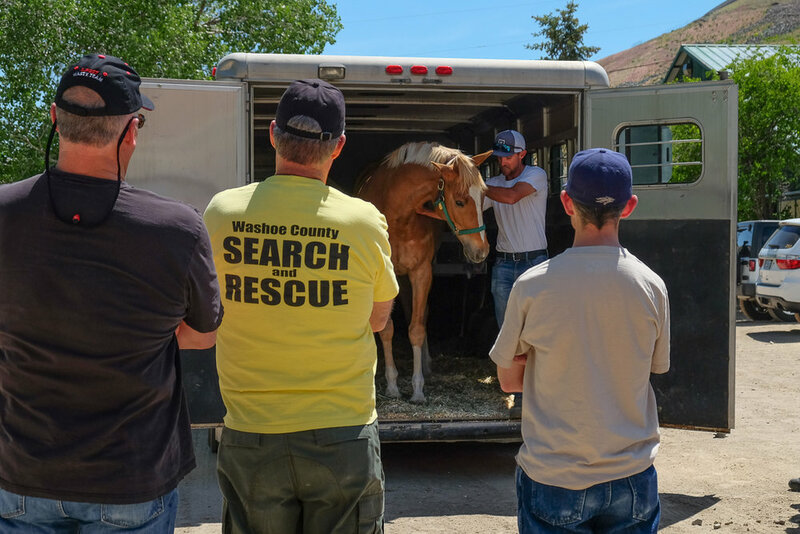 Maplewood hosts the bi-annual First Responders Horse Handling & Safety Clinic, which is a hands-on opportunity for First Responders and other interested people to gather knowledge and experience handling horses to better prepare for emergencies. There is no cost to attend, and the clinic is open to all. 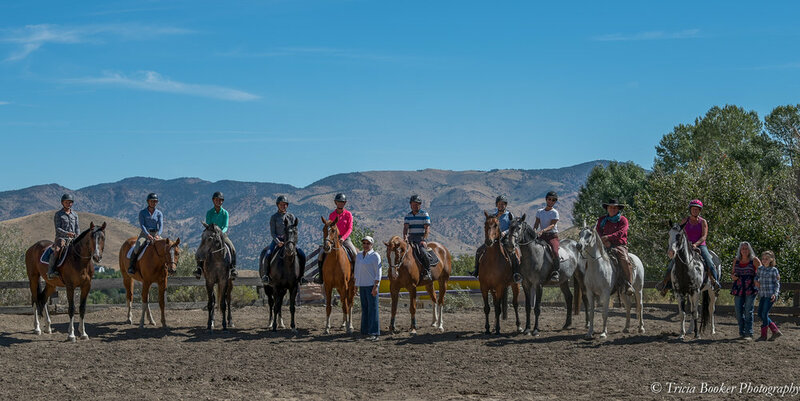 The annual Young Horse Trainer School, with clinicians Linda Allen, Jose Alejos and Julie Winkel, has now become sought-after educational opportunity for people wishing to learn more about training young horses. From halter breaking foals to backing 3-year-olds to preparing sport horse prospects for the International Jumper Futurity, the school offers a variety of educational opportunities, both in the classroom and in the arenas, to expand your horsemanship and training knowledge. The Course Design School, with clinicians Linda Allen and Meghan Rawlins, includes classroom instruction, on-site course design and live jumping demonstrations. The school is also open to riders, trainers and anyone interested in understanding the nuts and bolts of quality course construction to improve your horses and your competitive edge. The school will also cover practical advice for walking Jumper and Equitation courses. Analysis and discussion will take place after observing horses jumping the various tracks and lines designed by participants. For the third consecutive year, Maplewood's Super September educational programs include a Sport Horse Conformation Seminar with veterinarians Danny Marks (a Show Jumping Hall of Fame member) and Chrysann Collatos as well as conformation expert and judge Julie Winkel. They will analyze and discuss the conformation and athletic attributes of a variety of sport horses, from young prospects to dressage horses, show hunters and Grand Prix jumping veterans. In addition, the clinic will include educational seminars, classroom instruction and live judging practice. The seminar is open to riders, trainers and anyone interested in learning more about sport horse conformation. With clinicians Fran Dotoli and Julie Winkel, the Reno Judge’s School covers material used in the United States Hunter Jumper Association Licensed Officials clinics as well as materials from the comprehensive Arabian Horse Association Judges & Exhibitors School, classroom instruction, roundtable discussion and live judging practice. This school is open to judges, riders, trainers and anyone interested in learning more about judging and the processes involved, from ethics and integrity to bookkeeping, rules and licensing. This USHJA Trainer Certification Program-approved clinic, with clinicians Julie Winkel and Juliana Zunde, is for trainers wishing to become certified or renew their certification and for those interested in improving their teaching and training techniques. The clinic also offers riding spaces for those who would like to improve their skills under the tutelage of two well-respected and knowledgeable educators. The first day will include two morning sessions, followed by lunch, and then two afternoon sessions, followed by a roundtable discussion with the clinicians for all those seeking TCP credit. Day No. 2 is a similar format, although the roundtable discussion will be held during lunch so everyone is free to go after 4 p.m.